US urges ICJ to throw out Iran's lawsuit demanding Washington unfreeze money earmarked for terror victims. The United States on Monday accused Tehran of having "unclean hands" as it fought an Iranian court bid to unfreeze billions of dollars earmarked by Washington for terror victims, AFP reported. 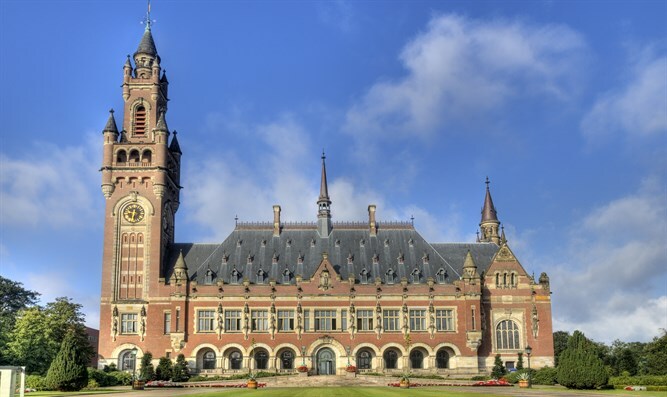 Last week, Washington tore up that treaty after the ICJ in a separate case ordered the United States to ease sanctions that were reimposed on Iran by US President Donald Trump after he pulled out of Iran's 2015 international nuclear deal. "Iran comes to the court with unclean hands. Indeed, it is a remarkable show of bad faith," Richard Visek, a US State Department legal official, told the court on Monday, according to AFP. "The actions at the root of this case center on Iran's support for international terrorism... Iran's bad acts include supports for terrorist bombings, assassinations, kidnappings, and airline hijackings," he added. Last Wednesday, Trump's national security advisor John Bolton announced the US was not only leaving the amity treaty but also quitting the international accord relating to the UN top court's jurisdiction. That announcement followed Iran's victory last week when the ICJ ruled that the US must lift sanctions against Tehran targeting humanitarian goods like food and medicine. Bolton’s announcement angered Iran, whose Foreign Minister Mohammad Javad Zarif blasted the United States as an “outlaw regime”. Pompeo had previously vowed that the US would "vigorously defend" itself in the International Court of Justice against Iran's challenge to the re-imposition of sanctions. Trump pulled out of the 2015 deal in May, and recently signed an executive order officially reinstating US sanctions against Iran.